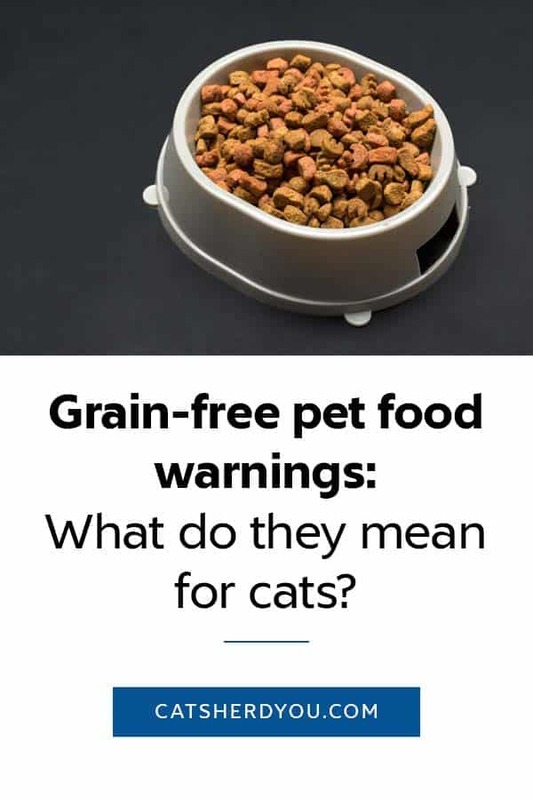 You are here: Home / Health / What Do Grain-Free Pet Food Warnings Mean for Cats? What Do Grain-Free Pet Food Warnings Mean for Cats? 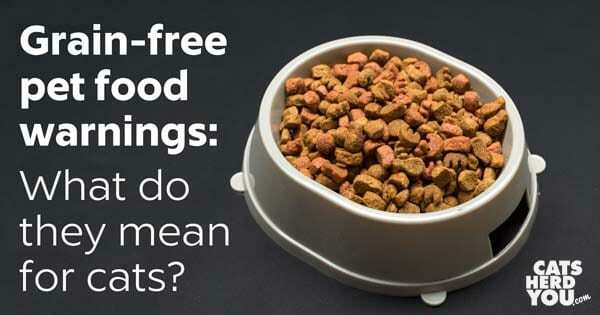 There have been a lot of news stories recently about how grain-free pet foods may be bad. The stories focus on dogs. What should families with cats know? The short answer is, we aren’t. This is one of those things hat has been under discussion in the veterinary community for a while. In June 2017, a letter went out from UC Davis about many golden retrievers being diagnosed with taurine-deficient dilated cardiomyopathy (DCM). This June, an article was published by Tufts Clinical Nutrition Service blaming heart disease in dogs on grain-free diets and exotic ingredients. While much of the article was informative, the advice in the article, to stop reading the ingredients list and to feed dogs a “made by a well-known reputable company and containing standard ingredients” made some pet owners uncomfortable, especially those who knew that Purina and Hills were donors to Tufts Veterinary School. 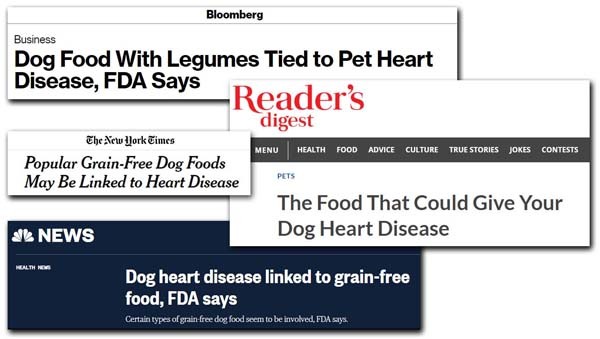 So these warnings stayed primarily within the veterinary community until the FDA put out a statement in July that they were investigating a potential connection between diet and cases of canine heart disease. Suddenly, the media took notice, and everything from major newspapers to hometown TV news reporters took were talking about dogs and grain-free diets. Why are You Talking About Dogs? What About Cats? Prior to issuing our public notification on July 12, 2018, the FDA received sporadic reports involving 30 dogs and seven cats. After the FDA’s previous statement talked exclusively about dogs, they suddenly mention that over 20% of the reports they had received were about cats. Should families with cats worry? FDA received one feline report in 2015 and two feline report in 2016, and those three cases encompassed seven cats total. 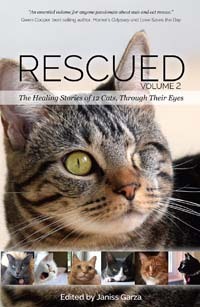 Vet-LIRN investigated and was never able to determine the cause of illness for the cats. Diet cannot be ruled out as a factor in the feline cases, but it’s worth noting that the food that five of the cats were eating tested at normal levels for taurine. We do not know the significance of the feline reports as it relates to the canine reports at this time, but it’s something we’re keeping in mind as we investigate. The focus of the update was on canine DCM due to the proportionally higher number of reports involving dogs. We will review feline DCM cases if they are reported to us. Since posting our public notification on July 12, 2018, we have not received any reports involving cats. It is understandable that the FDA, like all government agencies, has to make choices about what they can investigate with their limited resources. The point that that there have been no more reports since the public notification on July 12 is not very persuasive, considering the notification said, “The FDA encourages pet owners and veterinary professionals to report cases of DCM in dogs suspected of having a link to diet by using the electronic Safety Reporting Portal or calling their state’s FDA Consumer Complaint Coordinators.” When you encourage reports about dogs, you get reports about dogs. What Should Cat Families Do? That’s the hard question, and it’s one that families with dogs have been asking a lot recently. No one has any clear answers yet. One thing we should not do is count on the dog-related research to apply to cats. Early observations in golden retrievers show that this dilated cardiomyopathy (DCM) is reversible in dogs with taurine supplementation, and dogs synthesize taurine from cysteine and methionine, other amino acids in their diet. Cats can’t use other amino acids as building blocks and need to eat taurine in their diet to avoid dilated cardiomyopathy. So any outcome from the current studies may not apply to cats. The common thread seems to be legumes and/or potatoes as main ingredients in the food. Currently, it’s a correlative link, not a causative one. If you want to avoid legumes or potatoes in your cat’s food, you need to avoid food using those as an ingredient. Kibble requires some kind of starch to hold it together, so many pet food manufactures use peas, lentils, chickpeas, or potatoes to hold grain-free kibble together. You may have better luck avoiding or minimizing the ingredients on the canned food aisle. Canned food is good for your cat’s hydration, so including it as a major component of your cat’s diet is a win either way. You might also consider transitioning your cat to a balanced, raw diet, but keep in mind your cat can’t just eat raw meat from the grocery store. That isn’t balanced, even if it might look tasty! 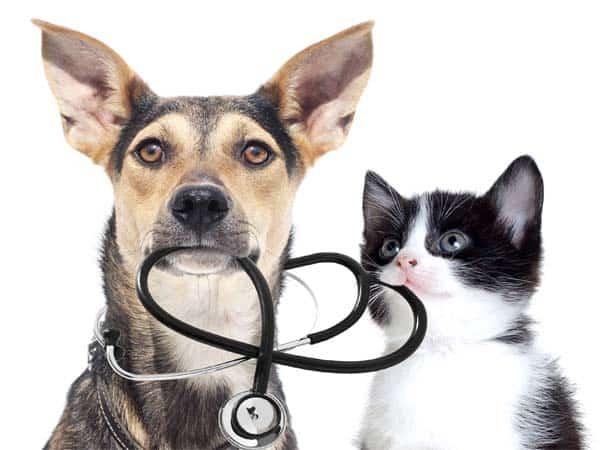 Early reports from the veterinary cardiology community indicate that the dogs consistently ate these foods as their primary source of nutrition for time periods ranging from months to years. Rotating your cat’s diet so she doesn’t eat the same food all the time might be a good precaution. It is a good practice anyhow so you have another food your know your cat will eat in case of recall or supply shortage. This site will bring you an update if this investigation brings information relevant to cats. This is one of the many reasons why we eat a combination of high quality canned and raw food, and not kibble. My human has known for a long time that kibble is not an optimum diet for us, and she has the means to feed us food that may cost more, but is better for us. I’ve been eating grain-free kibble for the last year or so. I also eat some wet food. I suppose Mum will be worried now and will want to switch me back to the normal dry. Thanks for this, I had been wondering. My three do primarily get canned food, but I’ve tended to supplement with some grain-free dry as ‘entertainment ‘ in treat balls. There needs to be a whole lot more focus on what is really healthy for pets instead of what might make the most profit for the companies. There really isn’t a group that is overly interested in that, at least we haven’t found them. Thanks for keeping us informed. Even many grain free canned foods contain potatoes and legumes. This is very frustrating for us cat parents. Amen! Cat are not tiny dogs…hello! Dogs are omnivores…they can eat lots of things and stay healthy. 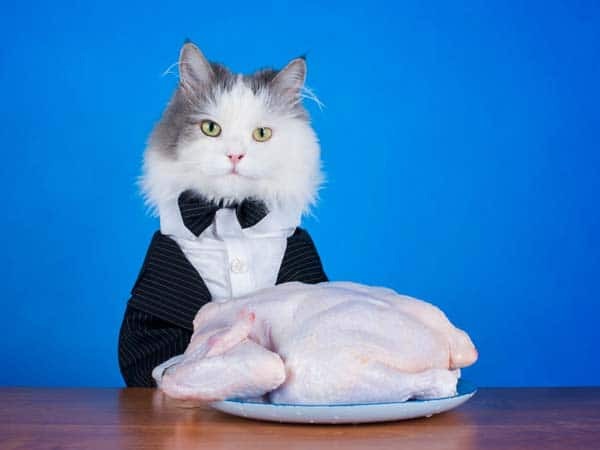 Cats are obligate carnivores: meat only! Thank you for this report on food for cats. And showing once again, that cats are not seen as very important. Look how long after the dog clients were given those flea and worm meds i.e. Program & and Front-line flea med back in the day. Several years later, back-of-the-neck flea meds came out for cats. LONG after dogs. Most ads on TV are dog centric, and waiting rooms at most vet’s offices have no concern for the cat customers who must endure dogs charging up to them, defenseless in their carriers. Barking and so on. It has made a frightened patient out of both Admiral in her day and Katie in this day. I know about Cat centric vets but there is only one 50 miles away. None others are mentioned in East Tn. 50 + miles too far when there is an emergency. Very interesting. Our local news ran that story about grain free diets and dogs. If only I could convince Mudpie to like wet food, but I just don’t see it happening anytime soon. TW is running out of ideas what to feed me. First get rid of the grains. Now grain-free is bad. It’s kinda getting like human foods where first eggs were good, then bad and now good again. Same with coffee. Some canned food also contain some of those ingredients like peas. it is frustrating how grain free is popular but starch free is not. As cats are carnivores they have no need for these things in their foods. I have yet to see a non-biased study that shows me that cats get any benefit from the excess of carbs in their foods. thank you for delving into the numbers and stats and looking for more info. It is frustrating because we can’t even get vets to report medication side effects to the FDA, they aren’t going to be thinking food..